Web Developers Don't Automatically Know SEO (But We Do) - Calgary SEO & Digital Marketing | Luxica Consulting Corp. When it comes to developing the ideal web experience for your business, there is often a tension between the developers, the people in charge of SEO, and the people in charge of user interface (UI / UX). Of course, if you have a small budget then usually you’re stuck with just one developer. While they might be able to deliver a solid and decent looking website or web application, you should be aware that SEO and web development, while related, are two very distinct processes. Most web developers probably think they know SEO, but I can tell you that after being a web developer for many years, I thought I understood SEO until I actually took the time to thoroughly educate myself. One particular example is that to most developers, the <h1> and <hx> tags simply serve as quick and easy ways to change the size of text on a page instead of using CSS. To the uneducated web developer, whichever <hx> tag they use is inconsequential as long as it serves their purposes of font size. From an SEO perspective the contents of the <hx> tags are very important and requires some very deliberate thought when deciding what to place in them. When Google is crawling your web page, the contents of the <h1> tag in particular give Google an indication of what the page is about, among other factors. If a web developer puts your most important keywords inside of an <h4> tag, you’re already losing power. This is only one small example. When developing a website, all of the work is done building the site itself, but real SEO involves plenty off-page work as well, which is probably outside the domain of the lonesome web developer’s skill set. On the flip side, there are a lot of web technicalities that most SEO professionals don’t understand. Therefore when looking for who to work with in developing your website, you would ideally want to work with someone or a group of people who have expert web development, SEO, design, and marketing knowledge. In closing, having a website developed is not enough. 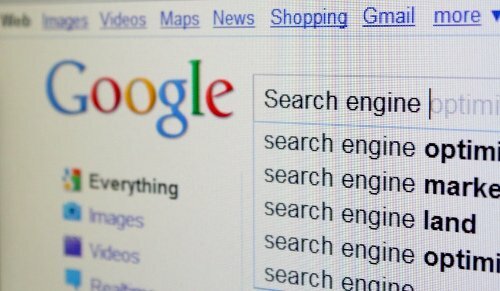 If you don’t have an SEO expert in your back corner to give your website and business a little bit of love after a web developer is done working on your site, you are absolutely missing out on a massively significant amount of website traffic and thus business because of your low Google rankings.